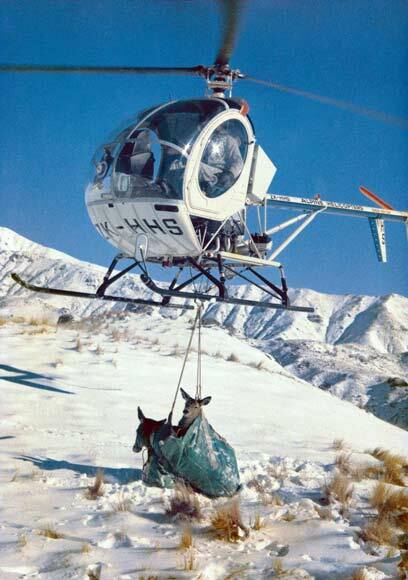 Capturing live deer was much more lucrative than recovering carcasses, but required a whole new range of skills. Teamwork was also needed between the helicopter pilot and his mate, who leapt from the helicopter onto the running deer, not a job for the faint-hearted. These deer are at Criffel, the farm of helicopter-capture pioneer Tim Wallis.